With politics, tax-law changes, Russian hackers, competition from China and technology rocking the world regularly, it's easy to be distracted from the facts that matter most in managing your money wisely. Simple math tells us that growth in the U.S. economy, which drives investment results, is largely determined by our nation's demographics. 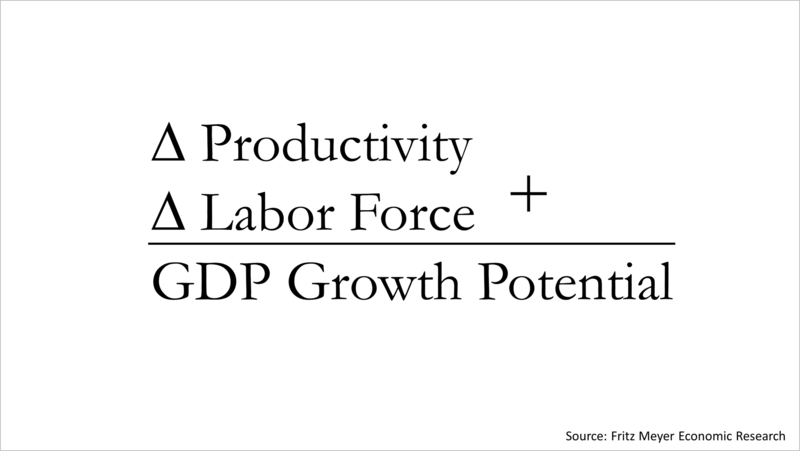 The equation for calculating the growth potential of U.S. gross domestic product is shown here. The change in productivity plus the change in the working age population is equal to an economy's growth potential. 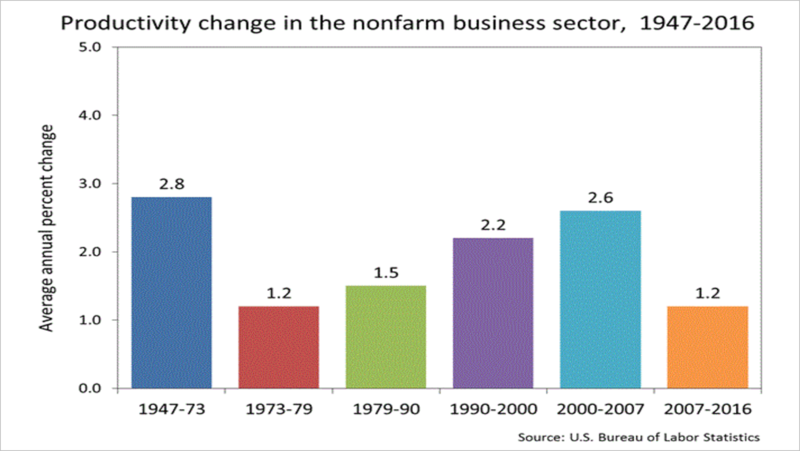 Productivity has slowed in the last decade to 1.2% annually and gains in productivity are harder to generate. Automation experienced in the 1950s, '60s and '70s allowed a smaller proportion of the population to work in farming and manufacturing and produce more goods. With more of the working force in service and jobs requiring more education and training - a mark of progress in the economy - gains in productivity are not expected to break their recent trend and end suddenly. This puts a cap on overall economic growth. The other factor in the economic equation is the size of the workforce. While the first birth wave of the baby-boom generation are the 117 million individuals born from 1946 to 1976, its children's generation - the echo boomers - are about 149 million in number. The echo boom is still expanding, and the leading edge of this generation has only recently begun entering the labor force. With each passing year, a greater number will be applying for jobs than in the year before. 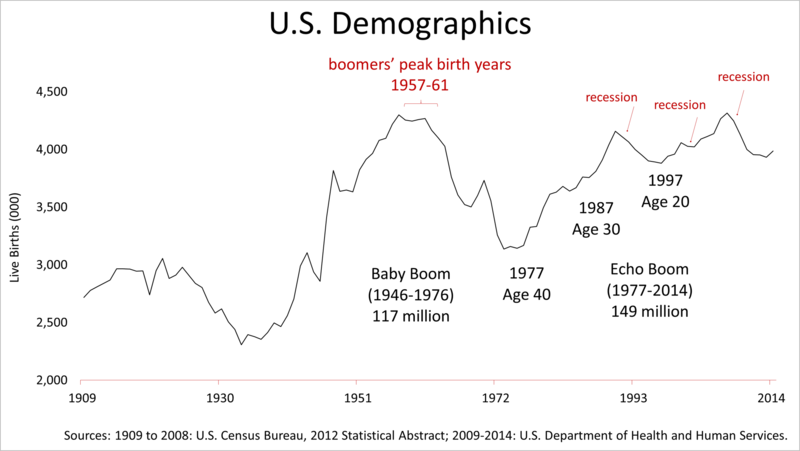 The baby boom peaked from 1957 to 1961 and boomers' peak retirement years will be 2022 to 2026. Thereafter, growth in the working age population picks up. 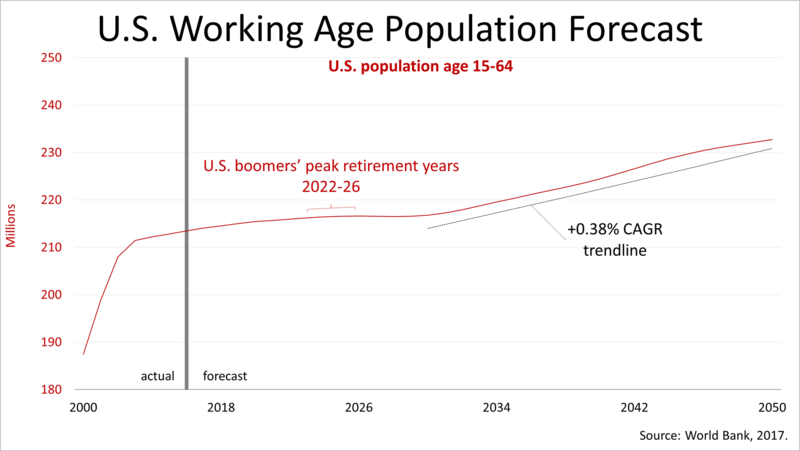 The U.S.'s prime working age population growth is expected to slow to a crawl, and actually turns negative in 2026 and 2027. Thereafter, beginning in 2030, the growth in the working age population picks up to a compound annual rate of growth of 0.38%, according to the U.S. Bureau of Labor Statistics' January 2012 Monthly Labor Review. From 2022 to 2026, the workforce is projected to grow slowly but then accelerate sharply. In comparison to most of the other large economies - Europe, Japan and increasingly China - the U.S. is in an enviable position. 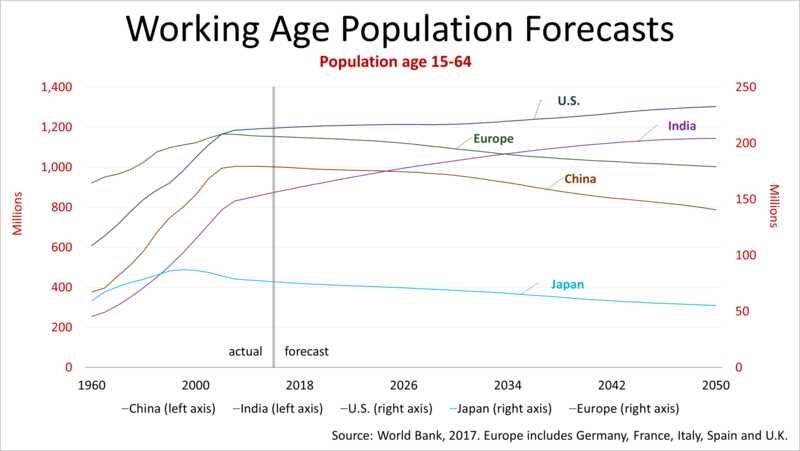 Growth in the working-age population drives gross domestic product (GDP) growth, and the U.S. has the large echo-boom population in its future, while other major economies don't. For now, however, demographics and productivity make it unlikely that the economy can grow much faster than about 3% annually. However, as a result of the long-term population trends, the U.S. will likely continue to be a magnet attracting foreign investment capital because of its relatively favorable versus demographics. 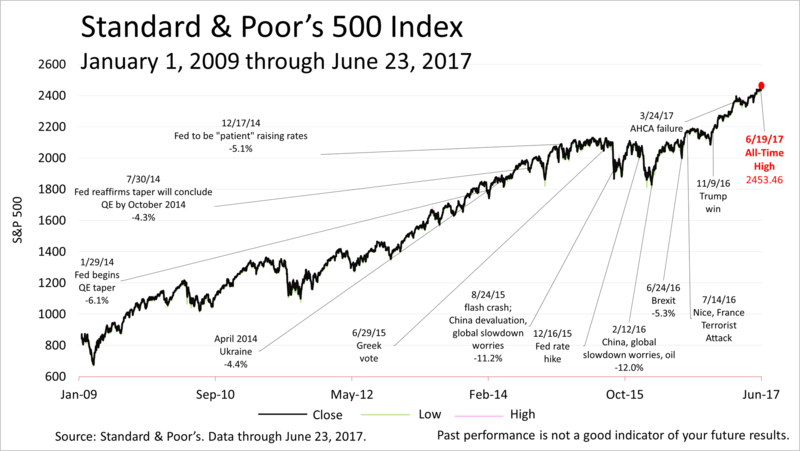 The Standard & Poor's 500 index closed at another new all-time high this past Monday, at 2453.46, and on Friday, it closed at 2438.30. While there is no shortage of distractions and a correction of 10% or 15% is always possible, we encourage you to stay focused on the fundamental economics driving stock prices for the long run. As financial professionals, we are an authoritative source of facts about family financial management and are a financial channel you can trust for news affecting your wealth.